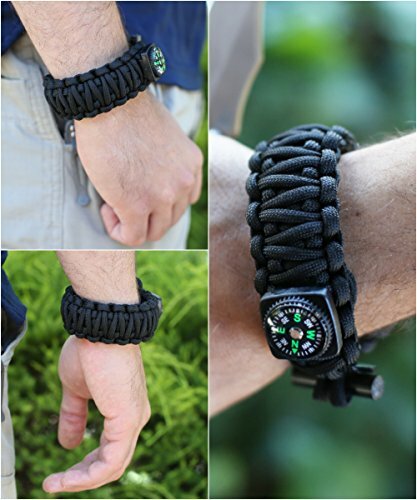 X Series Paracord Survival Bracelet - Moar Stuff - You don't need it but you know you want it. 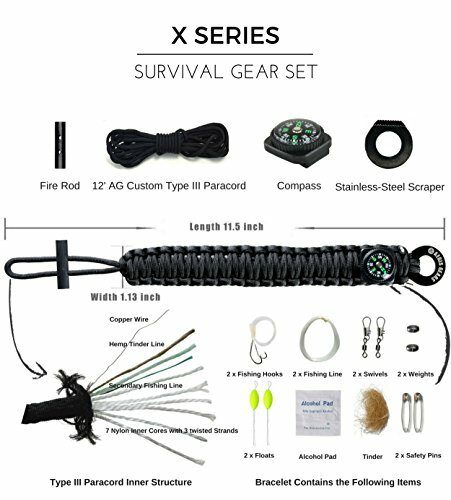 FEATURING 19 SURVIVAL GEAR: 1 5/16" magnesium flint fire starter, 12' custom military grade MIL-C-5040 type III 550 parachute cord embedded with copper wire, hemp tinder line, secondary fishing line, compass, stainless-steel scraper, 2 fishing hooks, 2 fishing lines, 2 swivels, 2 weights, 2 floats, alcohol pad, dried tinder and 2 safety pins. 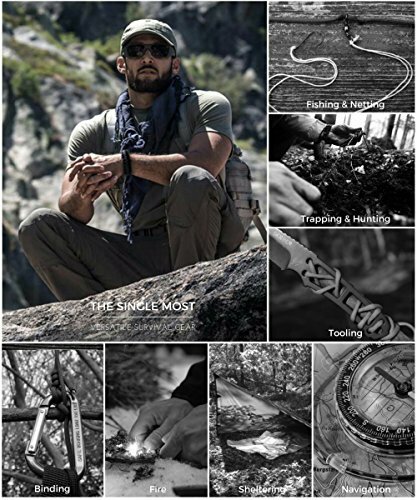 WEARABLE SURVIVAL GEAR: A collection of survival gear, each designed to offer a specific purpose that allow you to overcome and respond to critical situations. Wear the Series X not only for the things you can accomplish, but how it looks on your wrist. 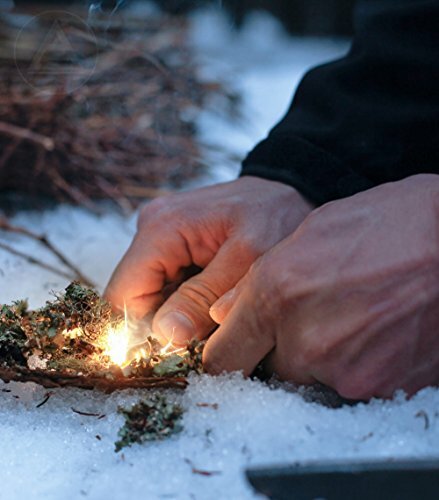 BE PREPARED AND READY: The greatest survival-tool is the one you have when you need it. It empowers you to respond to those critical survival situations. You will be surprised as well as inspired by the diverse number of opportunities you will have to use this handy problem-solver. GOES ANYWHERE: The bracelet doesn't ever need to leave you. Ever! It goes anywhere you go. On the plane, to school, out to dinner, to the office, to Disneyland with the family, hiking in Patagonia, or salmon fishing on the Alta River in Norway. 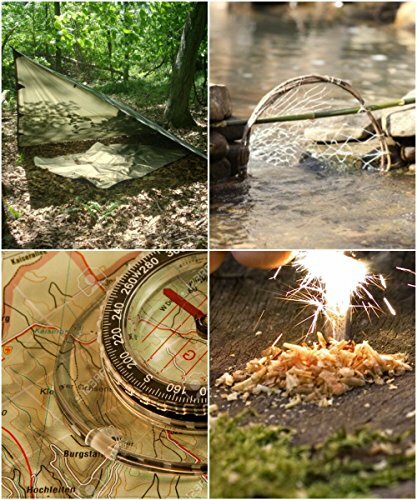 VERSATILITY AND STYLE: From starting fire to building a raft or shelter, this gear has got you covered with its wide-ranging survival tools. The gear is lightweight and offers comfortable fit for wrist sizes from 6 to 9 inches. A stylish addition to your outfits for outdoor adventures. OK, usually when bracelets come up in conversation, it’s my wife doing the talking with her girlfriends. 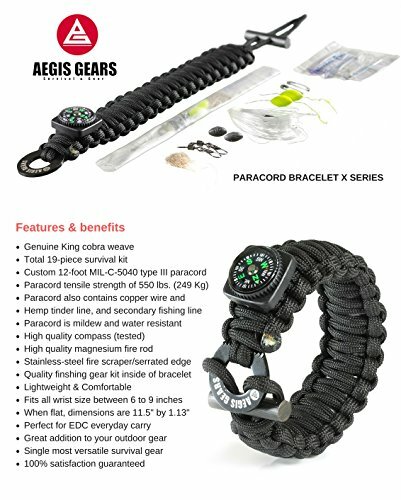 However, this Series X Paracord Survival Bracelet from Aegis Gears is definitely worthy of “man talk”. As a bonus, unlike a shiny Swarovski crystal bracelet, this bracelet is actually useful. 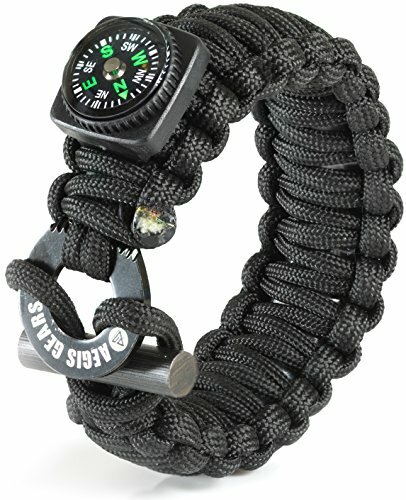 This manly looking bracelet comes packed to the gills with survival items like a compass, items to make a fire (flint & steel), fishing gear, and oh yeah, 12 feet of mil-spec para cord (which is always handy to have around.) 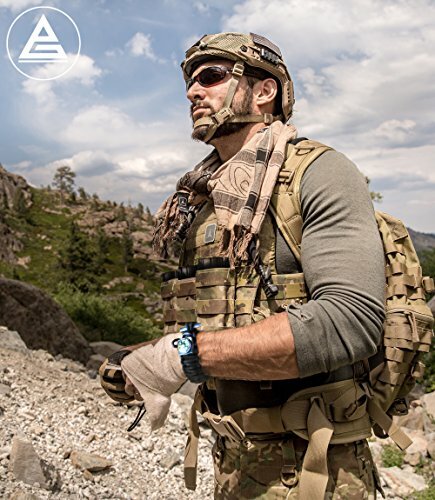 In total there are 19 pieces of survival gear tucked away in a 2 oz package that you carry on your wrist!! 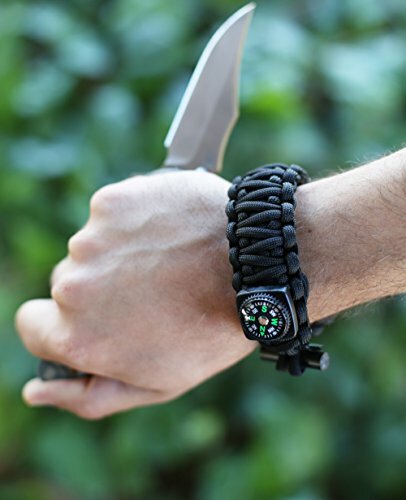 So, if you are planning on visiting the great outdoors for any reason, get one of these bracelets. It might save your life if you get lost or if your car breaks down in the middle of nowhere. Fits wrist sizes from 6 to 9 inches. 19 separate survival items included.